Organized by Anger | Thoughts on Community and Labor Organizing….and Cats. 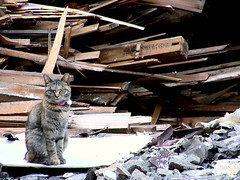 Thoughts on Community and Labor Organizing….and Cats. Forty people squeezed into a cramped property management office to deliver a letter. The Falcon Art Community, a rental management company dressed up as a “privately funded arts organization”, had neglected a black mold problem in the walls of Beth’s home. Health issues related to the mold forced Beth to move out and live in a tent on a friend’s lawn. The Falcon Art Community subsequently stole her security deposit. Beth approached from the very back of the group to hand the letter to the nervous secretary as another organizer read the letter aloud, over the phone on the voicemail of the owner of the Falcon Art Community — Brian Wanamaker. Following the demand delivery, posters were put up around the Wanamaker’s properties, warning would-be tenants of the neglectful landlord. After two short months of postering (including “don’t rent here” posters) and coordinated call-ins to the office, Wanamaker paid up. Solidarity Networks like these are winning real demands and creating a newfound confidence in direct action. This article will explain what they are, where they came from and how you can help build the movement. Around the world people are fighting back against their landlords and bosses to regain stolen wages and security deposits, stop sexual and racial harassment, and obtain needed repairs. 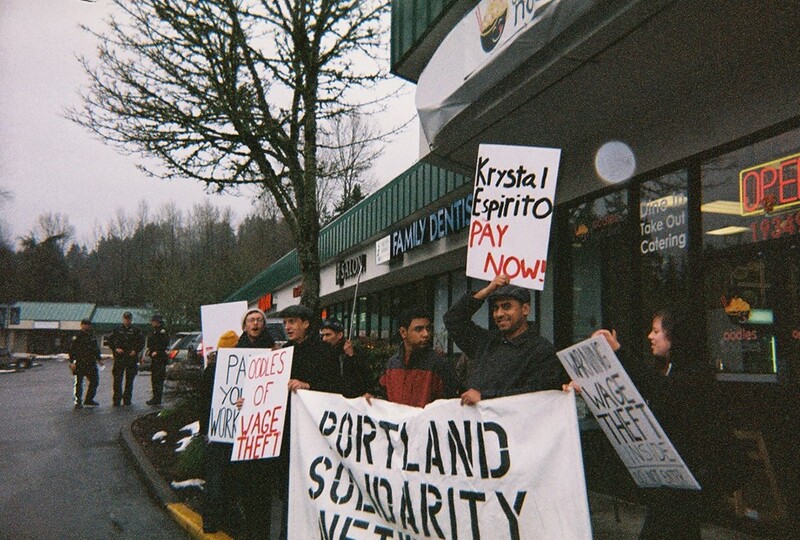 Using a model new to many long-time community organizers, they are organizing direct action campaigns in which workers and tenants take part in and lead actions that put pressure directly on their targets until they give in. This can be anything from pickets outside of a business, to “Don’t Shop Here” posters, to showing up to the targets place of worship and talking to the congregation about their terrible practices as a boss or landlord. Direct democracy – Everyone involved in the fight has voice and vote (but often some decisions are deferred to the campaign subject). Direct action – Campaigns are based around the community taking a direct stand against an oppressor. Lawyers and politicians are not relied on to fight our battles for us. Attainable demands – A campaign’s winnability is carefully evaluated before it’s taken on. Resources are not spent on organizing for the sake of organizing. Escalating tactics – Throughout the campaign pressure is constantly on the target. Tactics are carefully spaced at the beginning of the campaign to take into account the organization’s capacity and the constant building of pressure on the target. Personal involvement of the campaign subject – SolNets are not a social service. It is expected that the campaign subjects take an active part in organizing of their campaign. It is also expected that they join the SolNet and help out with other fights in the future. The SolNet model came out of Seattle, Washington in 2007 with the creation of Seattle Solidarity Network (SeaSol). SeaSol’s model was so successful at winning small scale worker and tenant fights that it spread to cities all over the world. There are currently SolNets in Portland, Brooklyn, East Bay (Oakland), Houston, Philadelphia, Lexington, Bristol (UK), Manchester (UK), Glasgow (UK), Sydney (AUS), Kitchner-Waterloo (CA) and Hamilton (CA). An important part to making the larger goals of broad social change attainable and realistic is building communities that can make decisions for themselves. Helping someone plan and carry out a successful campaign to get their stolen deposit back builds confidence in the idea that oppressed peoples can take back the things that are rightfully theirs, and that they don’t have to rely on lawyers or politicians to do it for them. In my next article I will examine how Solidarity Networks have gone beyond the single fight model and how they they can push on to have a permanent presence in our apartment buildings, workplaces, schools and transit systems. A friend standing in front of what used to be your organization.